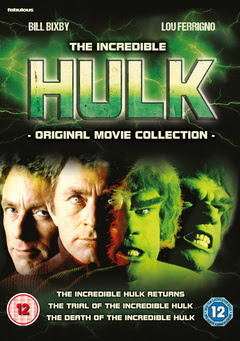 For the first time ever, all 3 Incredible Hulk TV movies will come together in one collectors edition box set. 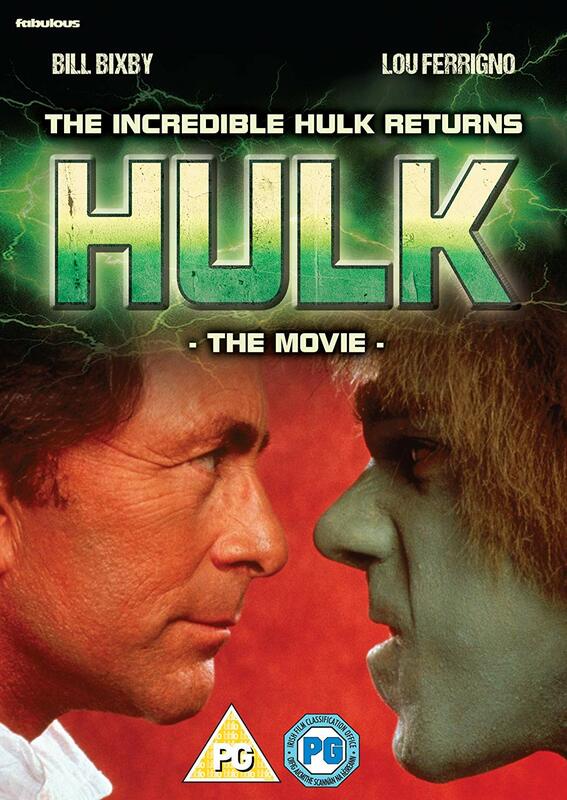 See Lou Ferrigno and Bill Bixby back in action in The Incredible Hulk Returns, The Trial Of The Incredible Hulk and The Death Of The Incredible Hulk. Filmed in 1988,1989 and 1990, the films were directed by Bill Bixby who played David Banner. A few years after the TV series The Incredible Hulk (1978-1982) burst onto TV screens he would return in three TV movies. 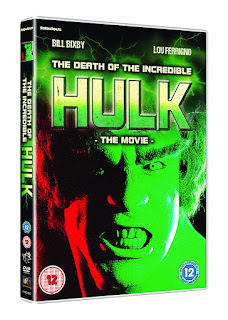 If you are brand new to The Incredible Hulk TV series this boxset features the three TV movies, with over 200 minutes of action, drama, bulging muscles and of course The Incredible Hulk to enjoy. Not only is the three films being released in this DVD boxset by Fabulous Films but each film will have an individual release as well. It’s been 2 years since his last transformation, and Dr. David Banner (Bill Bixby) has developed a new Gamma Transponder that he hopes will cure him of his inner monster forever. But when a former colleague unearths the frozen tomb of an ancient Norse warrior king, The Mighty Thor (Eric Allan Kramer) is unleashed upon 20th Century society. Can The Hulk (Lou Ferrigno) end the rampage of this mead-crazed barbarian, or will the two raging beasts become allies to save both the transponder and the woman Banner loves? Six years after the hit series ended, Bixby, Ferrigno and Jack Colvin (as nosy reporter Jack McGee) returned for this top-rated television movie. Tim Thomerson, Charles Napier and Steve Levitt co-star in this action-packed adventure. The Marvelous World of Stan Lee - an interview with Stan Lee. While trying to stop a subway mugging, David Banner (Bill Bixby) is arrested for assault and is defended by blind attorney Matt Murdock (Rex Smith). 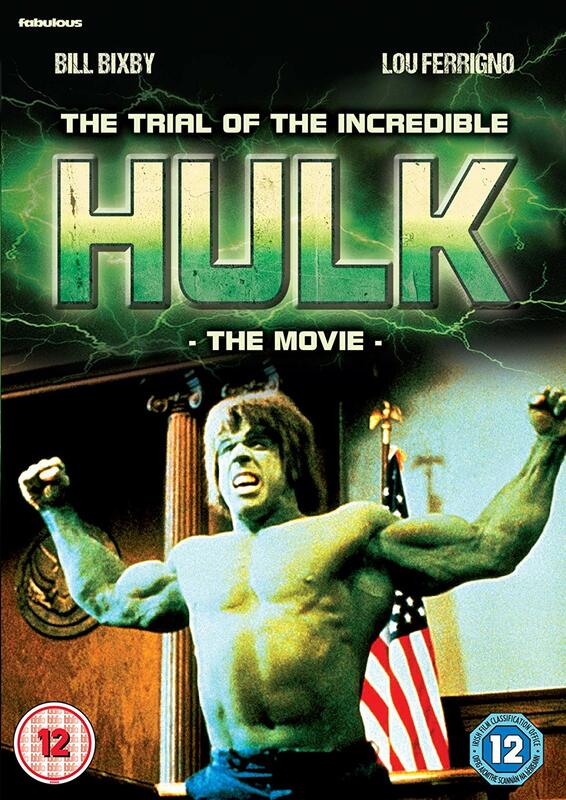 But when Hulk (Lou Ferrigno) goes beserk and breaks out of jail, Murdock reveals his own secret to David Banner. Blinded by toxic radiation, he stalks the night as the super-sensory acrobatic crime fighter called Daredevil. Can two men with uncommon powers now join forces to defeat an international crime syndicate or will their raging inner demons destroy whatever stands in their way? John Rhys-Davies (Raiders of the Lost Ark, The Lord of the Rings) co-stars as The Kingpin in this top-rated 1989 television film directed by Bill Bixby that features one of the all-time great Hulk rampage scenes as well as a cameo appearance from Marvel Comics' Stan Lee. The Death of the Incredible Hulk is the fascinating finale of the hugely popular TV series about a scientist, Dr. David Banner (Bill Bixby), who transforms into a mighty, larger-than-life beast called the Hulk (Lou Ferrigno) when he gets angry. Desperately trying to rid himself of his monster-like alter ego once and for all, Banner sneaks into a government research lab run by Dr. Ronald Pratt (Philip Sterling), hoping to find a solution. When Pratt discovers Banner’s plight, he offers to help. But a beautiful spy (Barbara Tarbuck), who’s out to steal Pratt’s ideas for terrorists, forces Banner to choose between love and loyalty, good and evil, and ultimately, life and death. THE INCREDIBLE HULK -Original Movie Collection and the individual releases of THE INCREDIBLE HULK RETURNS, THE TRIAL OF THE INCREDIBLE HULK and THE DEATH OF THE INCREDIBLE HULK will be released on DVD early August 2018.